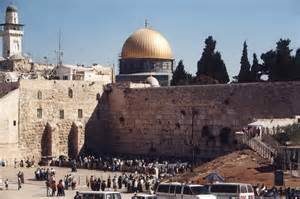 The Muslim Waqf has made use of the closure of the Temple Mount to Jews during the final week of Ramadan to get rid of large mounds of dirt containing sacred and archaeologically valuable artifacts from the times of the Jewish Temples. According to Arnon Segal writing in Makor Rishon, during the final week of the month of Ramadan, about 1,000 workers were employed to use the dirt for construction of new terraces and possible to truck part of it out of the compound to unknown locations. The dirt was originally dug up in 1999, when the Waqf carried out large scale illegal construction on the Mount, to create a new mosque in the section of the Mount known as Solomon’s Stables. At that time, 400 truckloads of archaeologically valuable dirt were evacuated and dumped into city landfills and the Kidron stream. Eventually, the Israeli authorities intervened and the dirt that had not yet been dumped was saved. Since then, the Waqf has been planning to get rid of the mounds of dirt, which were hindering its plans for carrying out more construction and development on the east side of the Mount. This Ramadan provided the opportunity the Waqf had been waiting for. With Jews banned from the Mount for the week that includes Eid al-Fitr – it could carry out its surreptitious plans without being noticed. The Waqf also proceeded to erect a monument in memory of the Gazan paramedic, Razan al Najar, who was killed two weeks ago in the clashes along the Gaza border – at the location where the mounds of dirt previously stood.